Starting GPS Co-ordinates: N51 10' 30" W000 77' 00"
Finishing GPS Co-ordinates: N51 10' 70" W000 74' 70"
To see: Waggoner's Wells, ford. Due to damage, this greenlane is subject to a TRO and therefore closed to all motorised traffic and even horses! There is a shallow concrete-bottomed ford on Waggoner's Wells Road (the ford is not actually part of the byway). Waggoner's Wells are two large ponds, possibly created to serve a mill of iron foundry that was never built, that offer some decent, child-friendly walks around this scenic valley. A great spot for a picnic. This is Hampshire County Council BOAT 14, for reference to TROs. TRO place in 1995 - don't drive it! See HCC website for details. Please update your page accordingly. Grayshott BOAT 14 is its reference. Thanks for your vital feedback. Updated as requested, and we shall be more thorough in future. I am slowly ticking off all BOATS/UCRs in P'field/Alton/Hindhead/Meon Hut area. Your site is very useful! Also doing Salisbury Plain - superb place. Glad we can help! 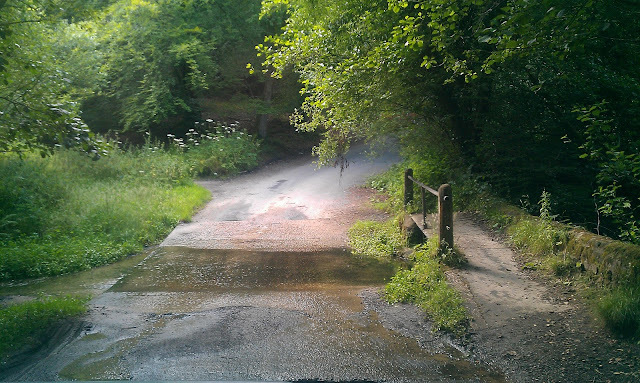 There are still a fair few green lanes we need to drive in the Petersfield area, so any input is greatfully received. Should you see any further errors on our site (this was a big one!) please feel free to point them out.